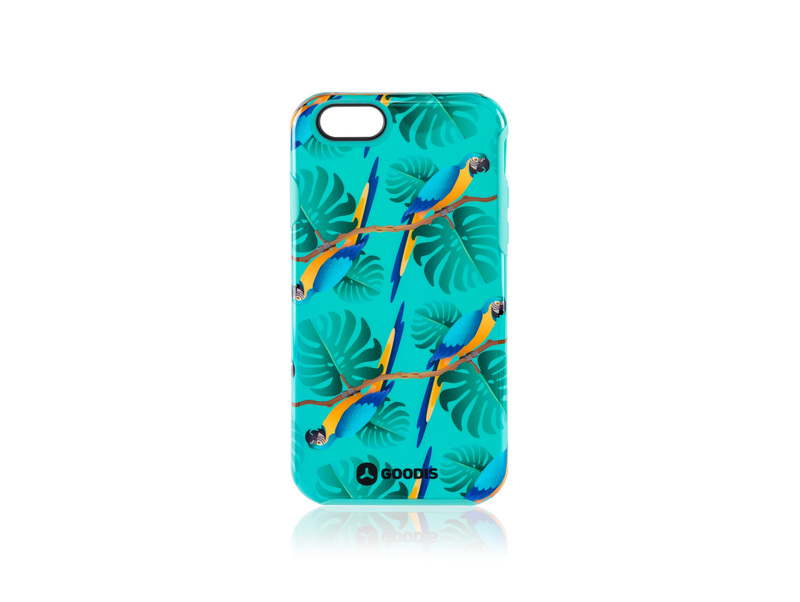 iPhone 6 case; Thermoplastic Polyurethane with a soft coating inside; Pattern inspired by the animals from the Amazon forest. 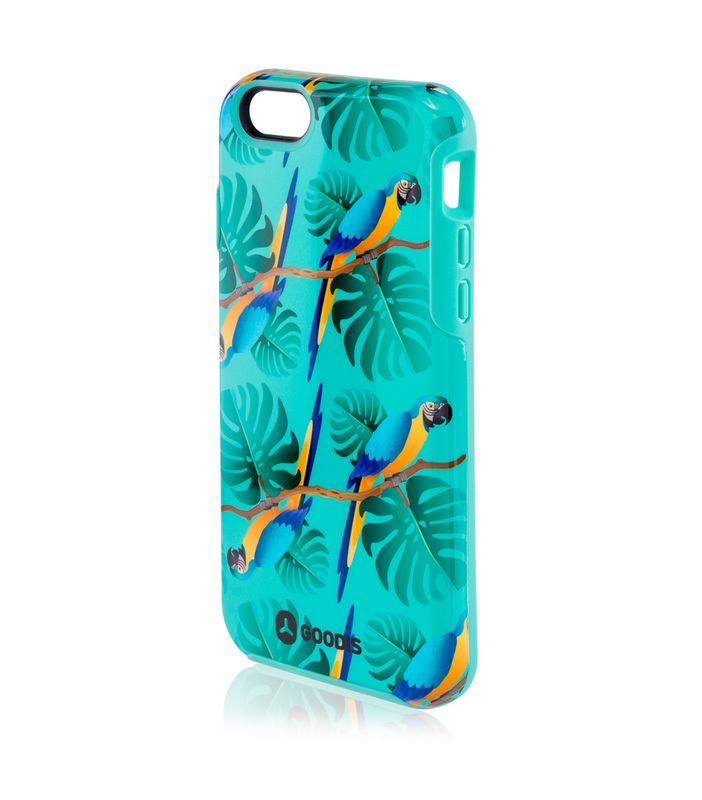 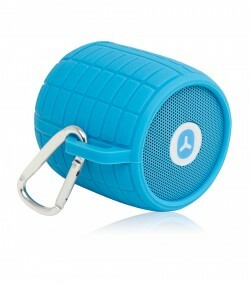 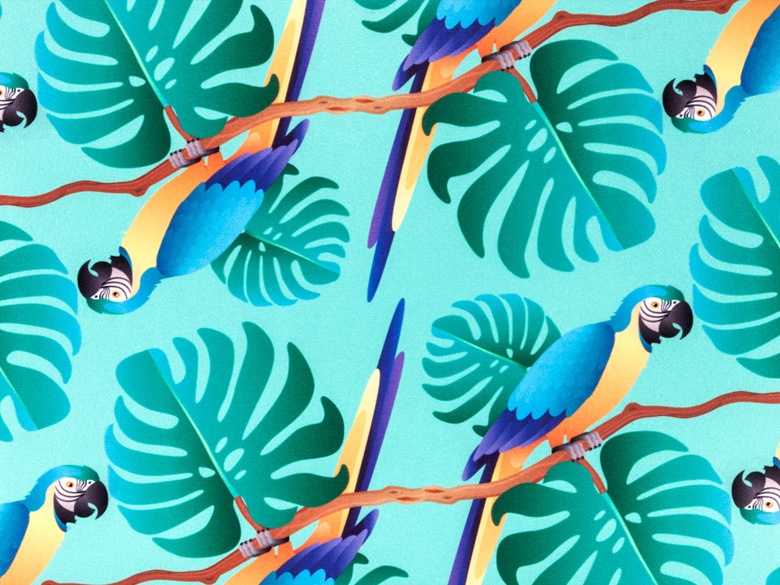 Inspired by Amazon’s vibrating landscapes and exotic birds, the Parrots case from Goodis Colour Collection has a trendy pattern with an exclusive design, ideal for people who like to express their personal style. 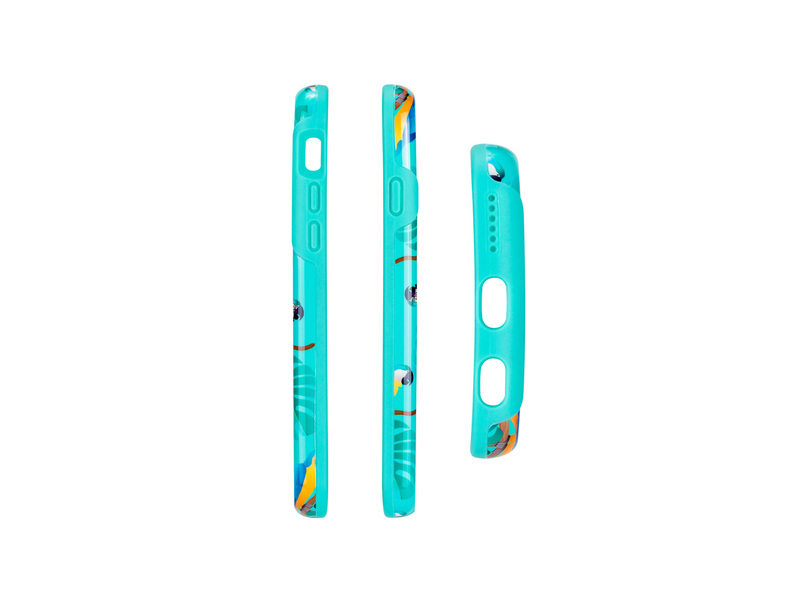 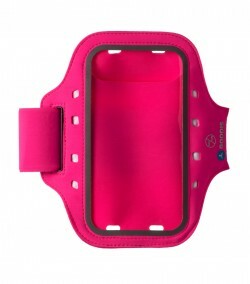 Made of thermoplastic polyurethane reinforced with a rubber finish, this case guarantees extra protection for your iPhone 6 as it simultaneously adds personality to your accessories.